Like I stated last week I went to Richmond and I had a mini reunion with my college roommates. We always have the best time together and this weekend was no exception. The weather was unexpectedly hot, so I was quite warm walking around in my bulky sweater and ankle boots. I love Richmond because it is such a relaxed place so this outfit was perfect for brunch and going out at night with everyone. Why can't every night out be so chill?! Love this look! That sweater looks so cozy! 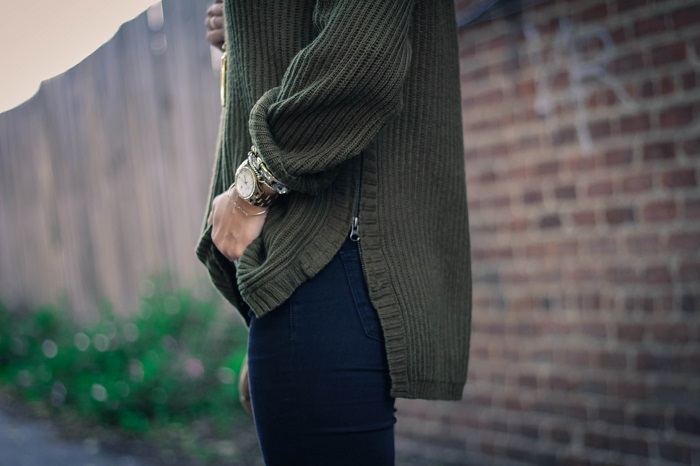 I love olive green so I definitely love that sweater! Nice look! Can we share closets because I want all of this? Great, thanks. ;) But seriously I love the olive and black combo, and those shoes... I love time with the girls friends. So glad you got to enjoy it. I love the zipper and oversized look of that sweater and the booties are awesome!! Glad you had a good time in Richmond! 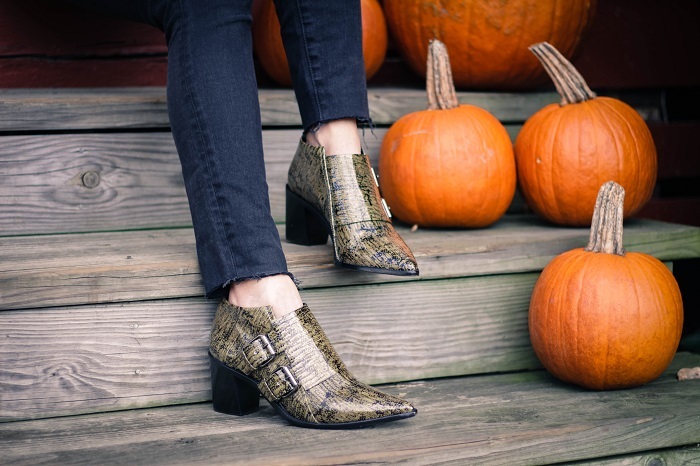 Love love love those brogues!! Booties, Necklace, glasses and your hair are my favorite parts of this look. they are so cool. Love the color and zipper detail on your sweater! Those jeans are perfectly distressed and those booties are something else girl! Fab look!